One of the most pleasurable tasks for any author is to present copies of his or her book to those who helped in its research and/or writing. As I make clear in the Acknowledgements of Sevastopol’s Wars, many people in Crimea and Sevastopol assisted in the research, drafting and production of this work, whether in providing advice, archive materials, historical insights or photographs. 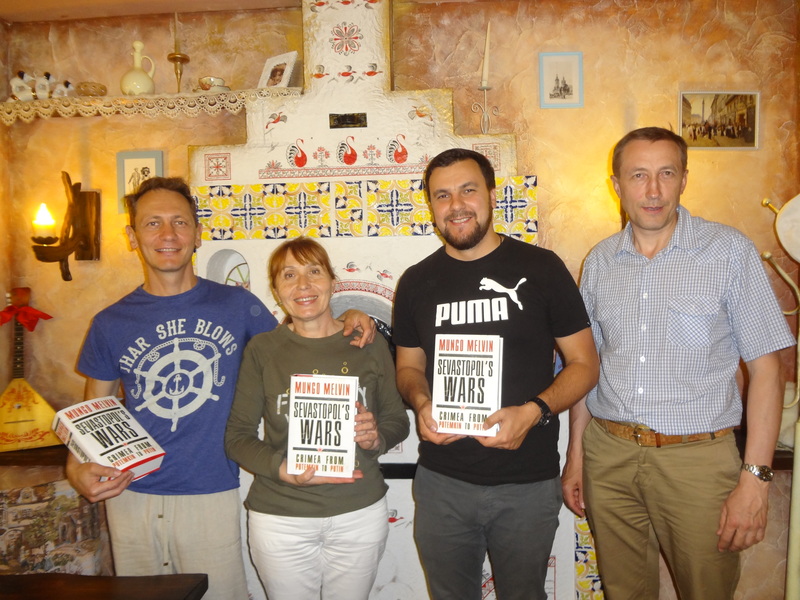 Vladimir and Tanya Zizak, and Nikolay Skiba, Sevastopol residents, together with Aleksandr Goncharov from Moscow, display their copies of Sevastopol’s Wars at Sevastopol on 28 May 2017. 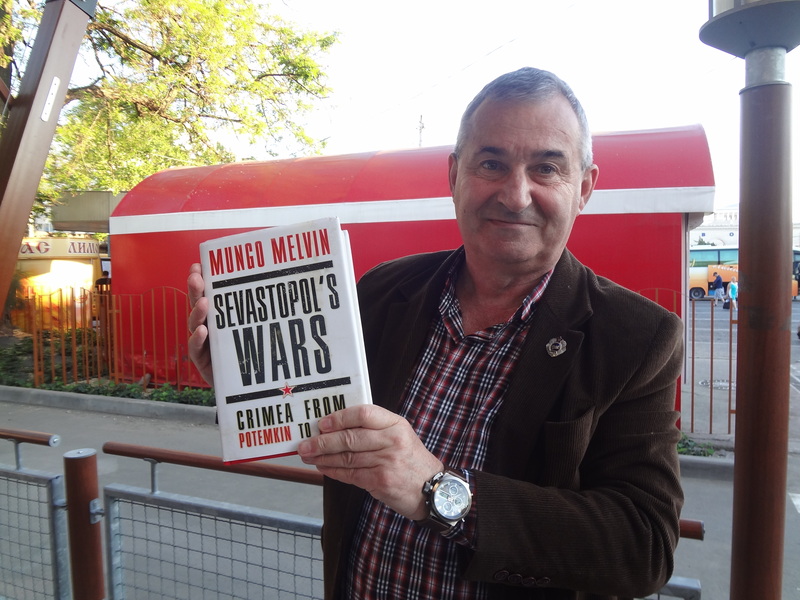 Tanya Bukharina has recently made a series of visits on my behalf to deliver copies of Sevastopol’s Wars (see my previous report of 25 May 2017). Since then, she has returned to Sevastopol twice. On 28 May 2017, Tanya presented books to Vladimir and Tanya Zizak and to Nikolay (Kola) Skiba, who provided many of the fine contemporary images reproduced in Sevastopol’s Wars, such as the city’s most prominent war memorials. I am very grateful to the Zizaks and to Kola for their support throughout the book project, and of course to Tanya for all her research work and making these trips for me. Acting director of the Sevastopol State Archive, Irina Krasnonos, with a copy of Sevastopol’s Wars, 1 June 2017. Tanya returned to Sevastopol yesterday (1 June 2017) to present a copy of the book to Irina Krasnonos, the acting director of the Sevastopol State Archive. This archive provided much of the primary source material such as newspaper reports of Bolshevik revolutionary activity in Sevastopol during the years 1905 and 1917, which I quote at some length in Sevastopol’s Wars. Historian Sergey Chennyk proudly displays his copy of Sevastopol’s Wars in Simferopol on 1 June 2017.